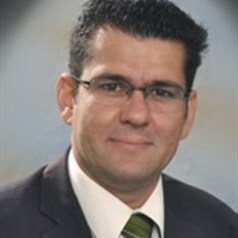 Breno has a background (BSc and MSc) in Industrial Engineering and holds a PhD degree in management from Aston University. He joined Aston Business School staff in 2010 as Teaching Fellow in Operations Management. He is currently Senior Lecturer in Sustainable Operations Management, with expertise in green operations and technology management. Breno helps companies and governments to respond to sustainability challenges and opportunities. At firm level, his work focuses mostly on strategic decisions for operations function. He has acted as a consultant for the European Automotive Strategy Network (UK), SMEs clusters development (Brazil),and advised a water management agency (Brazil). Breno investigates sustainability strategies, environmental decision making processes, and green technology management in both developed and developing countries. His recent research publications deal with a variety of sustainability issues, including: sustainable operations strategy, sustainable livestock, green innovation management, electric cars and sustainable mobility, sustainable luxury, sustainability performance and systems dynamics.